Armenia’s best known duduk player Djivan Gasparyan turns 90 today. The musician considers himself a happy man because he has always been doing the work he loves. 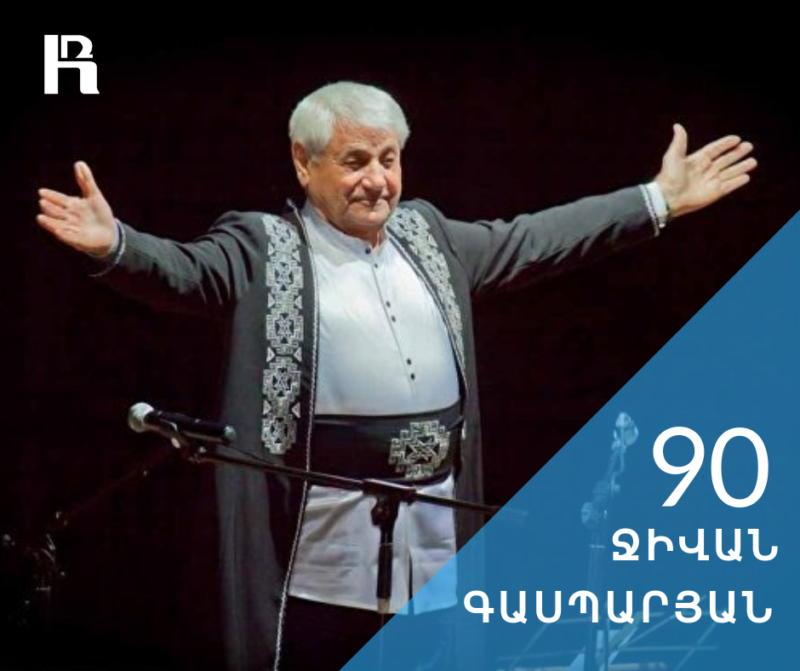 Jivan Gasparyan celebrates his 90th anniversary without huge events, surrounded by loved ones. Prior to Aznavour’s death he had said that preferred to celebrate his anniversary humbly. The musician, who has been in the stage of 75 years, is an author of a number of works, and will present some at the upcoming concert. “I’m a musician and have been born for music. Everyone should do the work he is destined for,” Gasparyan says. Born in Solak, Armenia, Gasparyan started to play duduk when he was six. In 1948, he became a soloist of the Armenian Song and Dance Popular Ensemble and the Yerevan Philharmonic Orchestra. He has won four medals at UNESCO worldwide competitions (1959, 1962, 1973, and 1980). In 1973 Gasparyan was awarded the honorary title of People’s Artist of Armenia. In 2002, he received the WOMEX (World Music Expo) Lifetime Achievement Award. He has collaborated with many artists, such as Sting, Peter Gabriel, Hossein Alizadeh, Erkan Ogur, Michael Brook, Brian May, Lionel Richie, Derek Sherinian, Ludovico Einaudi, Luigi Cinque, Boris Grebenshchikov, Brian Eno, David Sylvian, Hans Zimmer and Andreas Vollenweider.